I have been using L.A. Girl products for quite some time and I must say that this brand has some really awesome stuff. It is a cruelty free brand too! In today’s post, I will review the L.A. 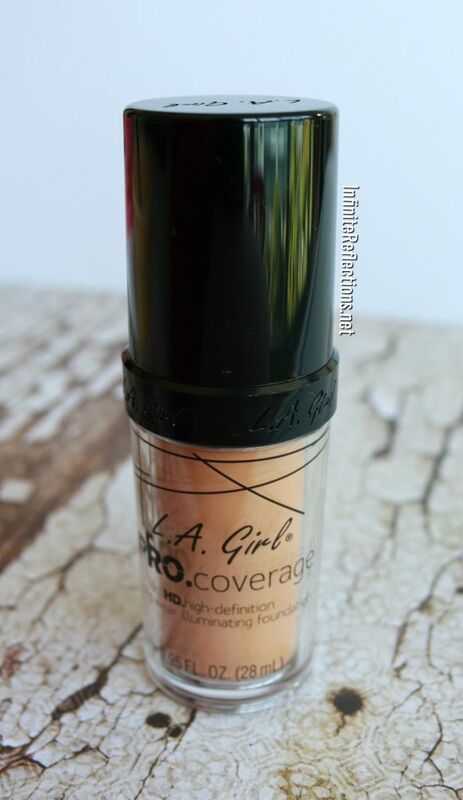 Girl Pro.Coverage HD Foundation and the ever popular L.A. 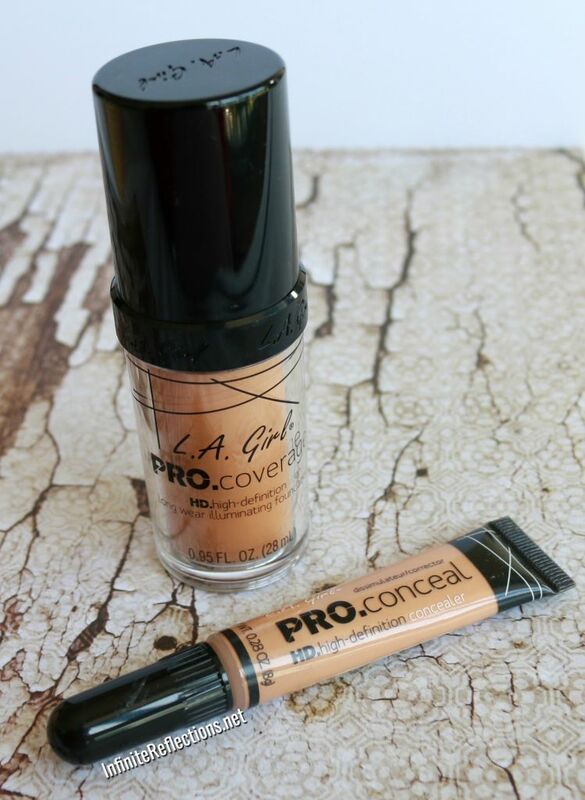 Girl Pro.Conceal HD Concealer. It is said that the L.A. 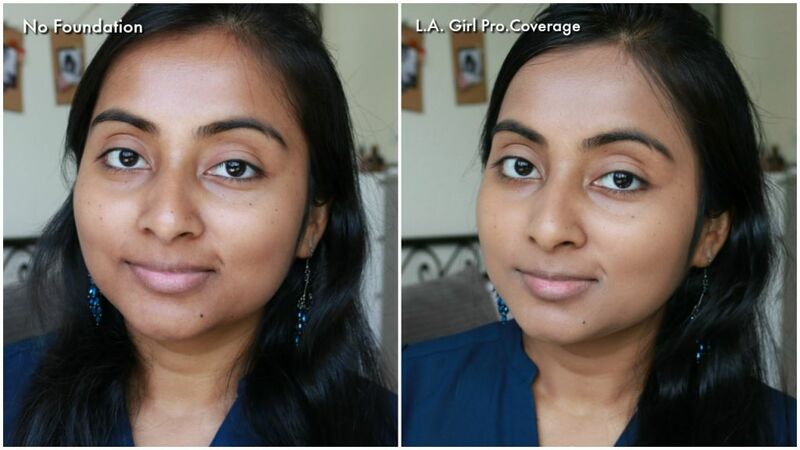 Girl Pro.Coverage HD Foundation is a very close dupe of the Make Up For Ever Ultra HD Foundation. I don’t have the Make Up For Ever foundation now but I have used it in the past and from what I recall the texture and coverage is pretty close. Anyways, today we are talking about the L.A. Girl Pro.Coverage. The L.A. 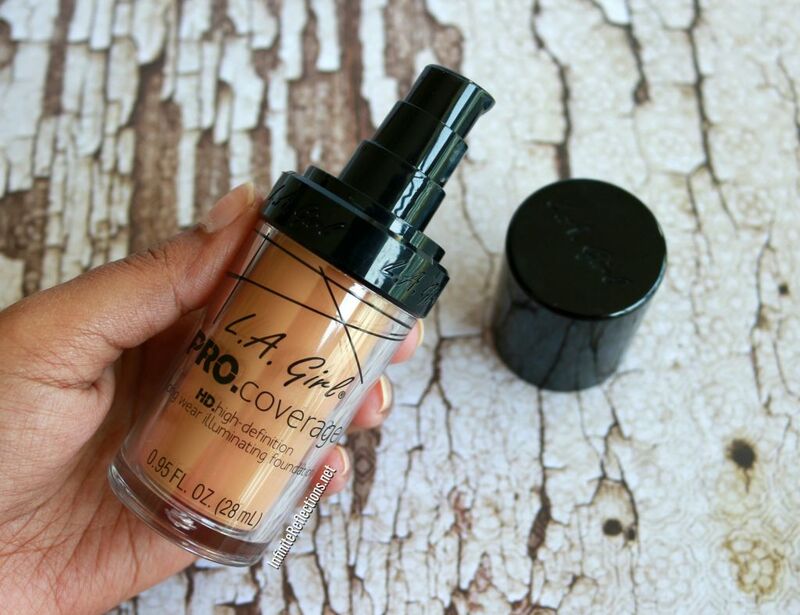 Girl Pro.Coverage HD Foundation claims to be a medium to full-coverage foundation, which gives a smooth and long wearing flawless looking finish. It is also an illuminating foundation, so it gives a dewy looking skin. It is a Paraben free formula with added anti-oxidants which helps to hydrate and improve the skin’s appearance. 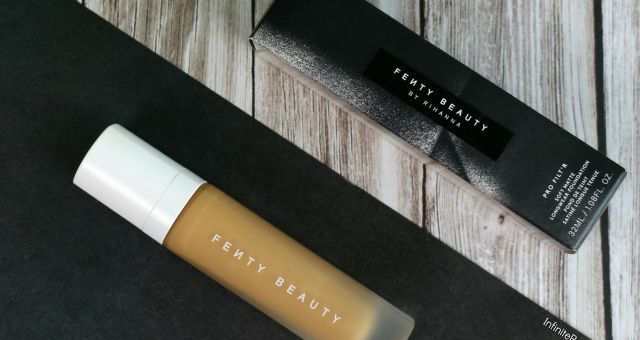 This foundation has amazing shade range on its US website but depending on where you live the shade range may vary. On their website, there are 15 shades available for all kind of skin tones and they also have a whitener foundation to lighten any foundation. I have the shade Warm Beige, which matches me pretty well. It’s just a tiny bit light but nothing I can’t work with. I am around shade MAC NC 42 for reference. 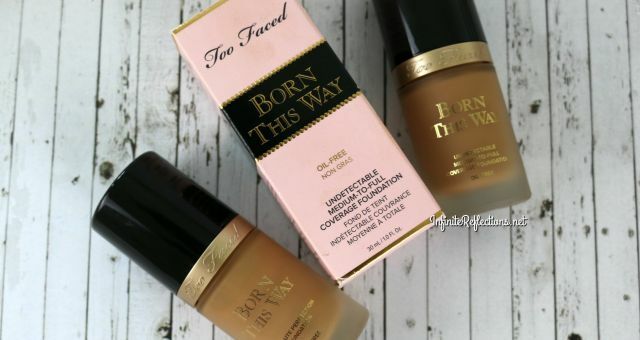 Even though it is an affordable foundation, the packaging is very classy unlike some of the other drugstore foundations. The foundation comes in a glass bottle with a pump as the dispenser, which is so essential for foundations. I love foundation bottles to have a pump and thankfully this one has a very good quality one. The cap feels very tight and secure as well, which makes it a great foundation for travel. You get 28 ml / 0.95 Fl. Oz. of product in the bottle which is slightly less than usual 1 Oz. for foundations. This foundation retails for USD 10 in the US, but here is Singapore I got this for SGD 17.90, so just a few dollars more here. It is available with a lot of resellers here, so you need to check where you get the best value. I got mine from ComaMakeup. In India, this retails for INR 1150 on Nykaa. 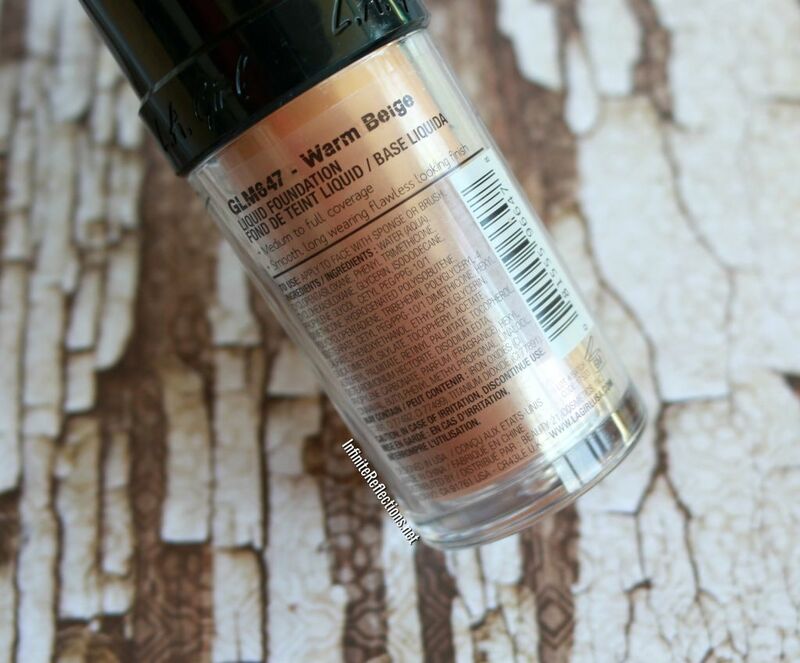 It gives a very natural finish when you go for medium coverage and there is a subtle dewiness in the skin. Texture of the foundation is not too liquid nor too thick. Even when this is applied as full coverage, it doesn’t look very heavy or cakey although I don’t think it is very full coverage. It is very lightweight on the skin. It is very pigmented, so you don’t need a lot of product. So, go slowly and build it up if required. It really is a very long wearing and it doesn’t become patchy or weird towards the end of the wear. It doesn’t feel drying on the skin. I feel that if you have dry skin you can go without setting this foundation. It doesn’t feel very sticky or tacky on the skin. My only concern with this foundation is that I did have to put in some effort in blending the foundation. It could be because the shade match is not exact, but once blended it really looks skin like. I found that the beauty blender and brush both work well for this foundation, but I like the finish of the beauty blender more. 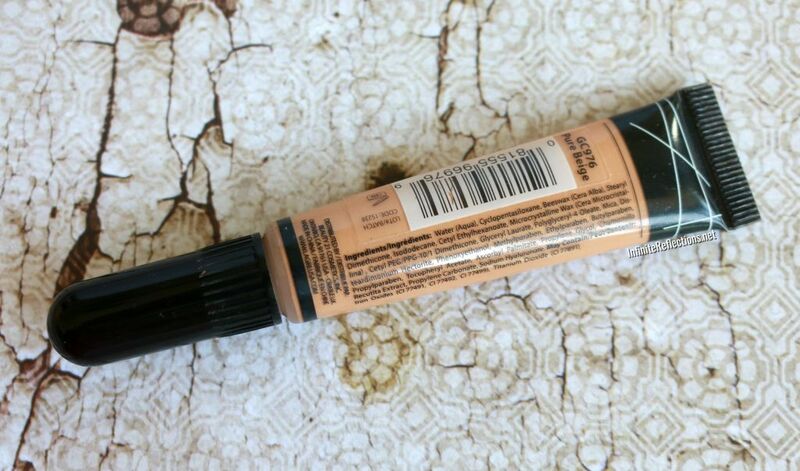 Overall, I love this foundation and it is probably one of my favourite drugstore foundations currently. I would highly recommend this if you have dry skin. I think this would work for people with oily skin as well since it’s not overly dewy nor completely matte. So, it’s worth a try for sure! Next, just wanted to throw in a little bit about the L.A. 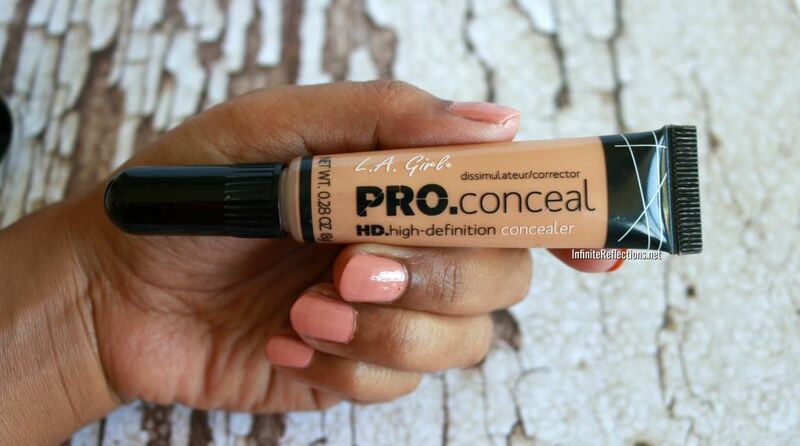 Girl Pro.Conceal HD Concealer as well. 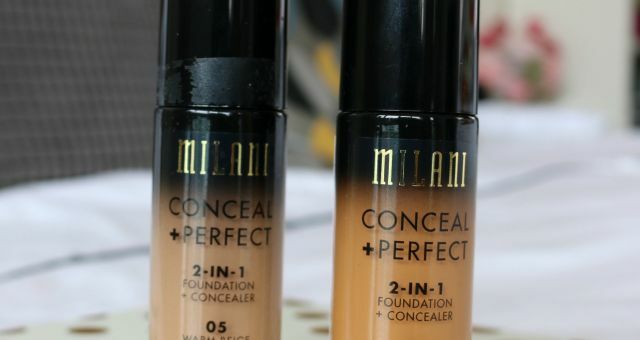 This concealer and the foundation is like a match made in heaven! 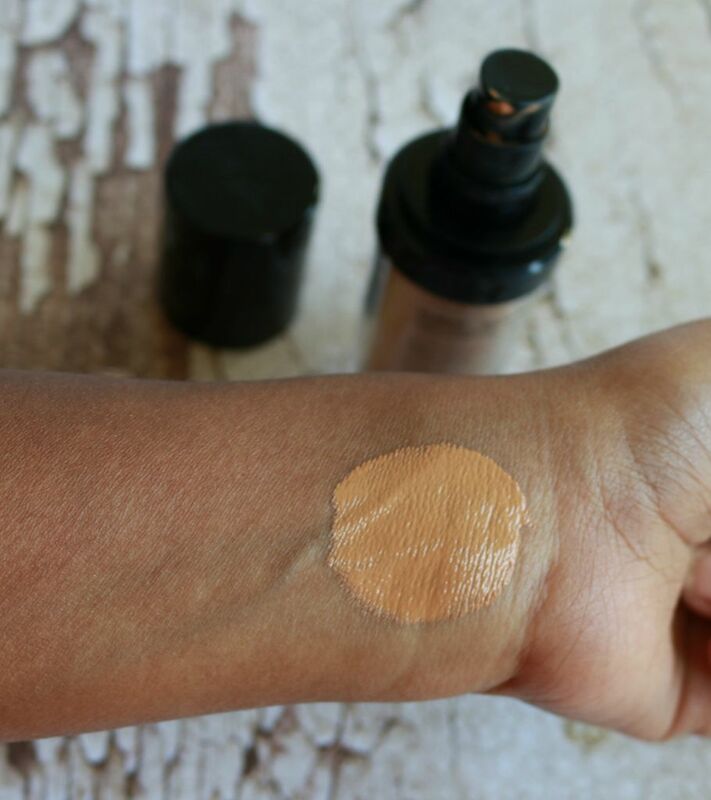 This concealer is a drugstore gem. It is available in a lot of shades and in colour correcting versions as well. 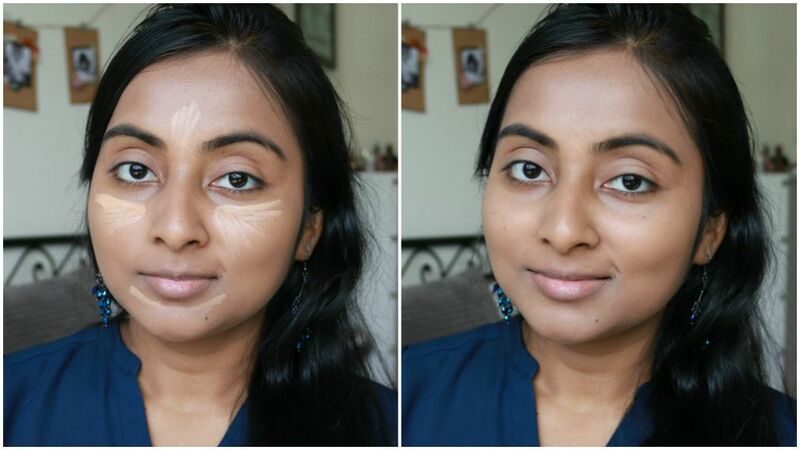 You can also use a darker shade for contouring if you want. I use the shade “Pure Beige”, mainly as under-eye highlight. The packaging of the concealer is kind of flimsy but it’s a USD 5 (SGD 7) dollar product, so I can look past that. I am also not a big fan of the brush tip applicator as well. I usually don’t like anything brush-tip so maybe it’s just a personal choice. For the price paid, we do get quite a lot of product so it’s very cost effective. The L.A. 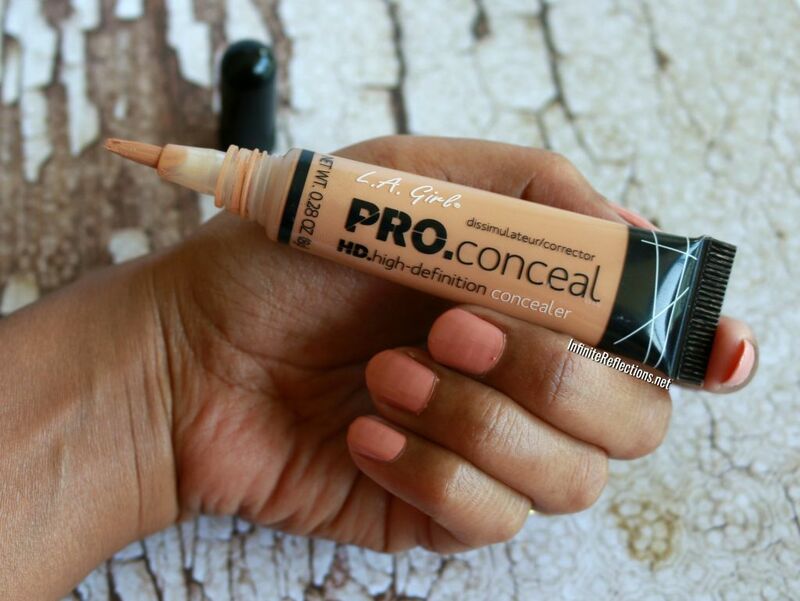 Girl Pro.Conceal is an excellent under-eye concealer in my opinion. Although, I don’t think this would be very appropriate for spot concealing. It has a very cream texture and feels very light-weight on the skin. It blend really nicely and can instantly brighten up the under-eye area. I do set this concealer with powder as a habit but I feel I can go without setting as well since I haven’t noticed a lot of creasing. It looks very natural on the skin and sometimes I just wear the concealer for some brightness and some powder without any foundation, for a perfect no-makeup makeup look. Cover up and brighten the under-eye efficiently. I just don’t like the packaging of this product, that’s all. Overall, this is an amazing concealer and will definitely suit dry skin more than oily skin but it’s worth a try for all. That’s all for today everyone! I hope this helps. Very nice review. I dont like to buy foundation online. and store of LA girl is not yet open in india. I’ll try PAC foundation soon. Yeah it’s best to buy foundation at stores.. I have messed up shades so many times.. I will try this too! Planning to buy L.A concealer. Please review NYX hd concealer & Pac foundation. Thanks dear.. sure I will review them if I get my hands on them..